A lot’s already been written about Kramnik’s fateful piece sacrifice against Nakamura, but surely only Sergey Shipov, providing live commentary on the second round of the London Chess Classic at Crestbook, could have used a story about a turnip to explain what Kramnik should have done instead! Sergey Shipov’s commentary in the original Russian, with a board on which to play through the moves and analysis, is at Crestbook. Hello, dear friends. With you once again is Sergey Shipov, and there’s no change in the offing. There are few of us, terribly few! And a lot of tournaments. And just too many interesting games. You can’t cover it all. Today the vote at the KC-Forum was for the game between the ex-World Champion and the leader of American chess. 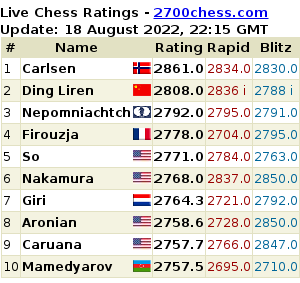 On the whole I’ve noticed the attention of fans switching from Carlsen to Nakamura. Perhaps it’s only temporary, but on the other hand it’s a very good thing – you can’t only focus on one figure. The appearance of bright, new, and even occasionally scandalous, warriors will maintain the interest of the press and public in chess. Or rather, not allow it to die out entirely. In the mainstream media and on TV there’s a consistent silence about our game, as a rule. It’s left to us to do something about it, enthusiasts and devotees. Not for the first time… But returning to London. We await the resurrection of Carlsen against Adams, more fireworks from McShane and other interesting events. By the way, also playing today are Howell-Anand, Carlsen-Adams and Short-McShane. I hope it’ll match the first day for decisive results. And may blood be spilt!… The extended pause before the start brings to mind the anti-cheating delay which some organisers introduce into game broadcasts. Well, I’m not against it. And I’m even for it. It’s a necessary thing i.e. at times forced upon you. 1…Nf6 2. c4 Note that the pawn’s not rushing to stand on d4. 3. Nc3 Now the Queen’s Indian Defence won’t work either, as after 3…b6?! there would follow 4. e4! 3…Bb4 A flattering offer to switch to the Nimzowitsch Defence, after 4. d4. 4. g3 A modest choice, clearly modelled on the Catalan past and present. The bishop on g2 is a common weapon. 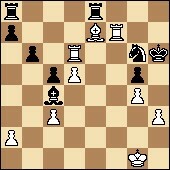 4…c5 Switching to the English Opening with a strange black-squared bishop for Black. Note that Hikaru isn’t rushing to exchange on c3. Clearly nothing’s stopping the bishop returning via a5. 6. 0-0 The question is – how can Black develop further? Playing b7-b6 is terrifying because of Nf3-e5 or d2-d4-d5! And if you immediately play d7-d5 then you get a slightly worse Tarrasch Defence. 6…d6 Sensible flexibility. And in principle if the fate of the bishop is to be exchanged on c3, then it’s better to put the pawns on black squares, so that the remaining white-squared bishop feels a little freer. But, according to my database, the given move has very rarely been used in practice. 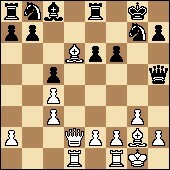 8. bxc3 The position strongly resembles the Nimzowitsch Defence, and in a pleasant form for White. Black still has some problems in development. The most unfortunate piece is the c8-bishop. 9. dxc5 An understandable desire, from a practical point of view, to play more straightforwardly in an unknown situation. 10. Ne5 A move emphasising the difference in strength between the white-squared bishops. 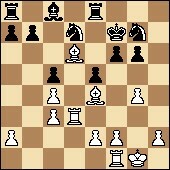 If White manages to put the required pressure on b7 then Black will be in trouble. The players’ time usage has levelled out: 1.15 – 1.16. 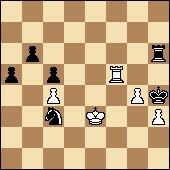 10…Qc7 A novelty – an attempt to drive the active knight away from the centre. On 11. Bf4, I sense, 11…Nh5 has been prepared. It seems as though everything holds together for Black i.e. he’s not going to lose straight away! But in that line there’s also the modest move 12. e3. You can, of course, retreat the knight to d3 – an excellent square, by the way. It’s also useful to put pressure on c5. In general, it’s a pleasant choice for White. 14. Bf4 Nh5 My premonitions didn’t fail me. Today’s my day! A clear provocation. Vladimir’s offering his opponent the chance to win a piece with the move 12…g5. And to perish as a result of the coming white attack on the kingside. 12…g5 Hikaru deserves our praise – even just for how principled he is. And for making the game spectacular. It’s getting interesting! What on earth’s happened? White’s sacrificed a knight for nothing more than a pawn. 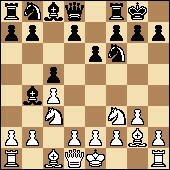 But he has the prerequisites for an attack on the black king, and his opponent’s queenside is still in a coma. 14. Rad1 A very solid developing move. But, it seems, not concrete enough – giving Black the chance to catch his breath. 14…f6 Natural and strong. The black-squared holes in the black king’s clothing have to be covered. 16. Bf4 White’s attacking resources are a little thin. The position is closed in character, and it’s not so easy to invade the opponent’s camp. 16…Qh5 Now you can post the bishop on d6, but then Black will simply retreat the rook to e8. Exactly. And what has White achieved? He’s a piece down, and the black king’s feeling ok. The queenside will be developed next. The c5-pawn can be won if you want – not a great loss. No, Kramnik clearly made a mistake on the 14th move… Although he’s in fact no doubt now criticising himself for the overly creative and reckless 12th move. The simple and solid 12.e3! would have given White a persistent, and more importantly, comfortable edge. While now he’s taking real risks… As a member of the KC-Forum rightly noted, if Kramnik wanted to give Nakamura something on his birthday it would have been better to give… a small cake. But a whole knight – that’s going too far. Too generous! Time is slipping away in sorrowful reflections: 0.36 – 0.43. Time trouble is approaching. 18…Nd7 The first harbinger. Soon Black’s advantage in terms of piece numbers will become obvious. The knight can either go to e5 or to b6 – then it’ll be the turn of the c8-bishop. But first you have to solve the problem of the f6-pawn. 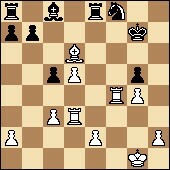 19. g4 You have to attack. Otherwise it’s a slow but sure death. 19…Qf7 Played, as they say, a bit more solidly. I think it could also have stopped at g6. 20. Rd3 Creaking and groaning, the white rooks are entering the fray. But who are they going to attack? It’s too cluttered on the board, and Black’s too solid. However, gaining tight control of the d-file is definitely useful – and then you can go from there. 21. 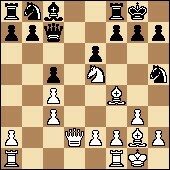 Qh6 All that’s left is to bring out the bishop to e4 and also switch the rook to h3. But Black isn’t obliged to wait for death to come. 21…Qg6 The fewer queens on the board, the closer to an endgame with an extra piece. 22. Qxg6 hxg6 Now “playing for pawns” begins (Translator’s note: this phrase is usually used the other way around, when a mating attack begins and you’re no longer “playing for pawns”). White needs to try and take a couple. Let’s say, on c5 and b7. 23. Be4 The Russian grandmaster isn’t abandoning his attempts to open up the enemy king. With that in mind he’s provoking the f6-f5 advance but, it seems, missing a strong refutation… I’m thinking of the move 23…Nb6! The American’s thinking. It’s good that his supply of time hasn’t yet run out: 0.17 – 0.22. Strange. Very strange! After thinking for almost 15 minutes Hikaru played modestly, not taking advantage of a completely obvious chance to settle the struggle in his favour. With the move in the game his king comes under pressure from the f1-rook. 24…exf4 25. Bd5+ Ne6 26. Bxf4 The white pieces are being deployed ready for battle. True, to create a really strong attack you could do with some more of them. 26…Nb6 “It never rains but it pours!” – so thought a native, sitting in a tree and looking at three crocodiles waiting for him below… Hikaru has clearly lost his self-control and begun to make one inaccuracy after another. 27. Be5 Kramnik’s moves are simple and natural. He’s getting real chances of… Saving himself, of course. 27…Nxd5 28. cxd5 The f6-pawn falls. White’s compensation for the knight he once sacrificed is growing by the minute. 28…Nf8 29. Rxf6+ Kg8 30. Bd6 For now the g4-pawn can’t be taken by Black (because of taking on f8 and g6). Always the same problem. 30…Kg7 31. 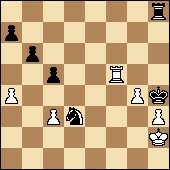 Rf4 White has preserved two pawns (for the knight), and also a certain intiative. Nakamura, it seems, has gathered himself together and is again making strong moves. The move in the game gives Black a certain space to operate. 33. Rfd3 Invading on f7 is an excellent chance. 34…Ng6 Calm and strong. You understand, of course, that no-one has yet died from a check. 34. Rf7+ Kh6 The king is in a cosy box. 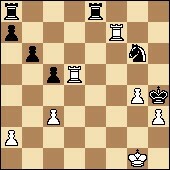 35. h3 Defending the pawn and again putting obstacles in the way of the development of the c8-bishop. But it still got out. 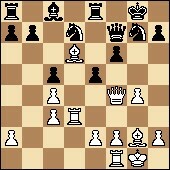 Which means that the a8-rook will soon also enter the fray, and Black maintains a solid advantage. 37. Be7 Trying to get the d5-pawn to the eighth rank. 37…Bc4 Another accurate defensive move. In extreme time trouble the players are playing very well. Extremely well! 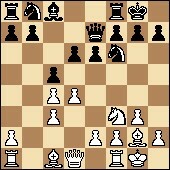 38…Bxd5 I jinxed Nakamura. He rushed and took illusory threats for real ones. 39. Bxg5+ A simple combination, complicating the life of the black king. With his flag about to fall Hikaru managed not to blunder mate-in-one, but his most precious piece remains in a dangerous position… The time control has passed. I encourage all spectators, and also the players in the game, to drink a cup of coffee! 41…Re5 Of course. Now Black’s in time to rebuff all White’s threats and keeps that same knight he was once gifted. 42. Rxe5 Nxe5 43. 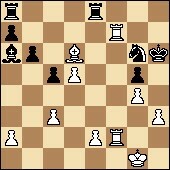 Rf5 And here it becomes clear that Black isn’t obliged to give up the knight on g4, as in the variation given above. White’s clearly missing the king on g2. 44. Kh2 Rh8 The mate doesn’t work. The only question is whether Black can free the king? In my opinion he can, as after all the knight can move freely. 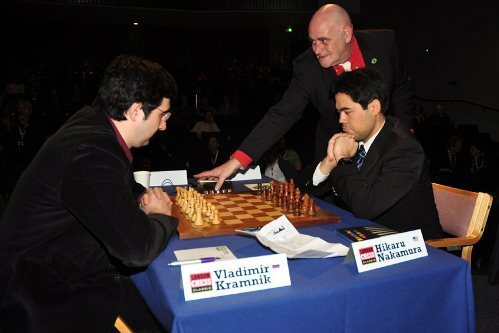 Exchanging all the pawns – that’s Kramnik’s last chance of salvation. 45…Rh6 But it won’t be easy to do. 46…a5 The most technical move. When the a4-pawn falls, and that’s inevitable, Black will get a fast-moving outside passed pawn. 47. Kf3 No worse than any other moves. 47…Nb2 The goal is close. 48. Kf4 A psychological attack i.e. it could only be successful if your opponent took fright and invented something that doesn’t exist. 48…Nxa4 But Nakamura is back on top of things. He has confidence in his position. 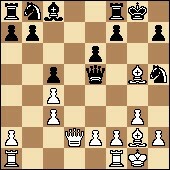 49. c4 Nc3 The path’s clear for the passed pawn. An attempt to stop the runner. 50…a4 51. Kd3 Nd1 A simple trick. If 52. Kc2 then there’s a knight fork on e3. 52. Rf8 Vladimir is fighting to the last. He must now be very annoyed with himself… He almost managed to save the game, but then snapped. It should start at about 14:00 UK time. Marvellous stuff !! And thanks for putting in the extra effort to link to the russian tales site :) I like many of the tales there…. and thankfully coffee’s available again at time control. Amazing. Looking forward to his next commentaries!